Amarna Letter No. 147: “To the king, my lord, my pantheon, my Sun-god say: Thus Abimilki, thy servant. Seven and seven times I fall at the feet of the king, my lord.”. This act, as can be seen, was done between a king and his servant, and was not used in a deistic way. A very famous case we have in actual depiction can be found in the attached image taken from the Black Obelisk. 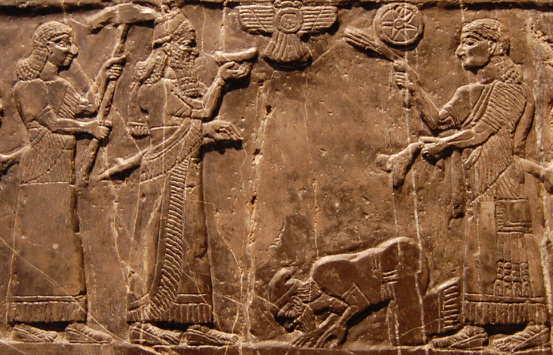 In it we can see King Yehu of Israel bowing face down to King Shalmanesser king of Assyria. As a vassal king he had to show submission to Shalmanesser by giving tribute and bowing.